This little person had found her wings, the crawling phase had been lived to its fullest, I assume effort was put into not needing to hold onto walls in order to get to stuff anymore, and now that she could walk by herself, there was no stopping her.. as she experienced these many firsts for herself, happy to come ask for help if she couldn't reach anything but so self sufficient at the same time.. This got me thinking, the older we grow, we lose our sense of wonder.. our curiosity.. life becomes 'just another day' if one could say.. 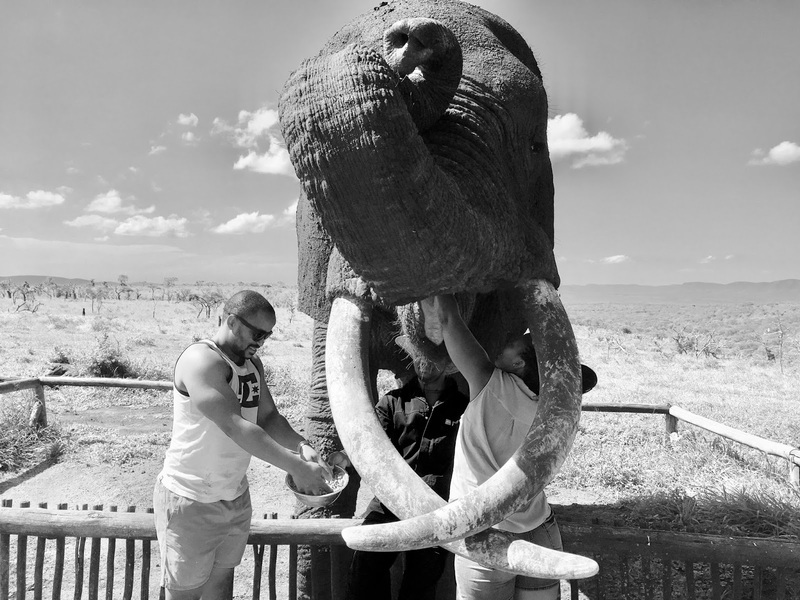 I remember when we went to an elephant sanctuary in KZN and the guide said we could touch the elephants tongue, I was in there.. my curiosity has no bounds.. and with that said, I hope you remember the feeling that came with your pursuit of your curiosities.. whatever firsts you've had.. I hope they encourage you to keep chasing these firsts.. even if its growing a bean in your kitchen.. chase the wonder.. and don't be afraid to ask for help in the pursuit of your self discovery! Pic from the road trip.. conversations with the universe.. The run.. and the captured moments..